3-1 Alternating is a type of alternating that alternates every other 3 air cell during each alternating cycle. 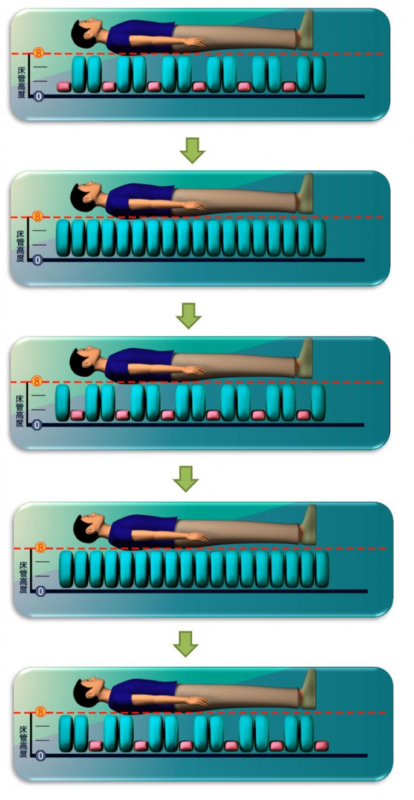 In each alternating cycle 33 percent of the mattress is deflated and 66 percent is inflated. 2-1 Alternating is a type of alternating that alternates every other air cell during each alternating cycle. In each alternating cycle 50 percent of the mattress is deflated and inflated.